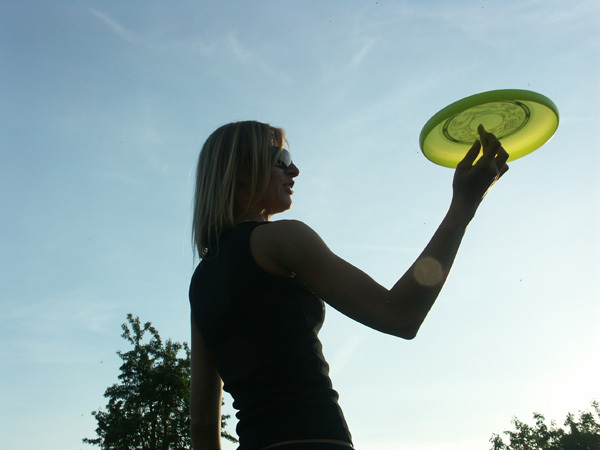 Although tipping the disc got started relatively early in the history of Frisbee play, and preceded the origin of freestyle competition, there is no known historical evidence of the delay move being done in any period of pre or post plastic disc play before mid-1975. The delay came into being only after freestyle competition was born and on its way to becoming a sport. The move came out of the creative crucible of the New York City freestyle scene in the mid 70’s that included Kerry Kollmar, Freddie Haft, Peter Bloeme, Mark Danna, and several other New York players of that era. None of these players were at the very first competitive freestyle event at the 1974 Canadian open. Kerry and Mark Danna were at the 1974 AFDO and were jamming up a storm, but were not seen doing anything remotely like a delay move. Kerry and Mark were also at the 1974 Jersey Jam, and neither one of them hinted at a delay move there either. They also attended the 1975 Octad, and competed in the freestyle event there, but still did not demonstrate any type of delay move. But Richie Smits did attend the 1976 Ann Arbor indoor NAS event, and he brought along with him two new wrinkles, a container of some sort of slippery stuff with which he coated the underside of his disc, and a thimble on his finger. Between the reduction in friction from the slick on the disc, and the further friction reducing thimble, everyone got a renewed look at the delay, which Richie, and Richie alone, was able to do with complete control. He seemed able to delay the disc for as long as it had spin. His move was to receive a throw with heavy zzzzs, let it float down onto his thimble finger, and then hold the delay for 10 to 15 seconds. Everyone was amazed at this new development in freestyle, and ogled Richie’s display. In retrospective irony, an obscure ultimate player showed up at the 1976 Ann Arbor tournament. 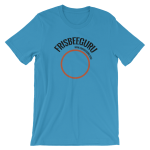 Being somewhat of a newcomer to the Frisbee scene and not knowing too many players, he needed to find a freestyle partner and hooked up with Richie Smits. This newcomer turned out to have considerable Frisbee skills. With some of Richie’s slippery slick stuff and a little coaching, he soon got the hang of the delay and was also doing it pretty well himself. But it was his superb throwing, catching and multiple tipping skills that caught the eyes of the crowd, many of who were exclaiming “Who is this guy?” Little did we know what was going to be coming from this new guy, who was competing in his first ever freestyle event. The new guy? None other than Jens Velasquez!